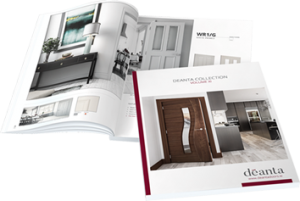 The Deanta Primed Door range are ready made to be painted any colour you like. 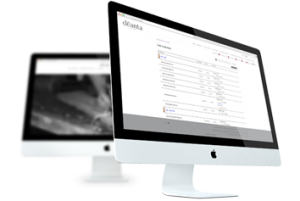 Check out our full range of information below where you can see examples of how your Deanta Primed door may look in the various colours popular this year, as we have displayed in collaboration with Fleetwooods paints. Also discover the best practices when painting your own doors with our information on tips and tricks below. Step 2. Remove any dust and grime from the door using a clean watered cloth, then allow time for it to dry or wipe dry with a 2nd dry cloth. Step 3. Once dry the the touch apply masking tape to the edges of the doors handles, windows, hinges and other details you want to protect from paint. Step 4. You’re now ready to paint. To get the finest finish remember to paint evenly and take your time. Step 5. Once dry you can apply the 2nd coat. When the 2nd coat has dried all that is left is to carefully remove the masking tape and admire the beauty of your newly painted Deanta Primed Door. 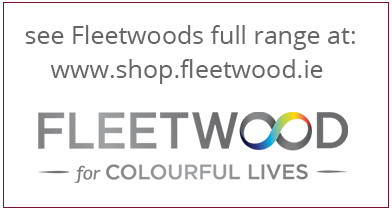 Check out Fleetwoods Popular Collection of colours this year, and see how they could transform your Deanta Primed doors today.